Walked into the local guitar center and saw this wine modified tele up on the used wall. $299 was too good to ignore. I guess the guy wasn't in a good place and came to sell his tele and strat that morning. 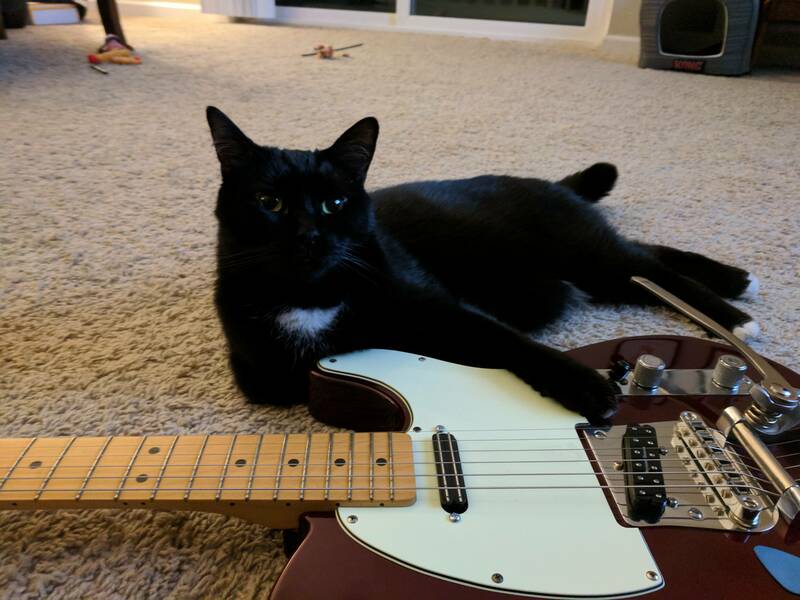 You could tell this was not his favored guitar. No scratches, chips, digs, or fretwear. S# dates it as a 1997 model. Absolute steal for 299. Well done, looks like exactly my sort of thing. 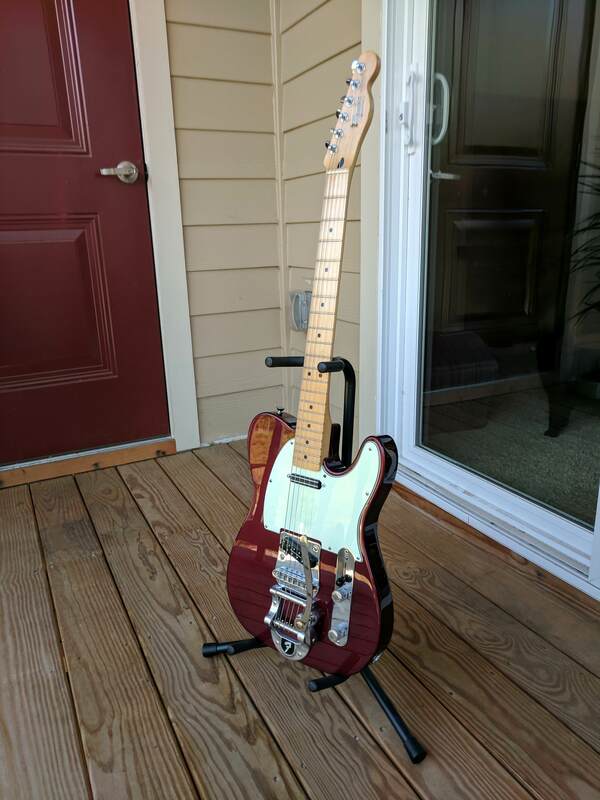 I had a wine red Squier Tele back when Squier were made in Mexico, must be 20 years ago. It was a nice guitar, always liked that colour as well. You keeping them pickups in it blane or swapping them for something more traditional? That's nice! Love the F-stamp Bigsby setup on Teles, hell of a deal for a guitar that's had so much money poured into it. 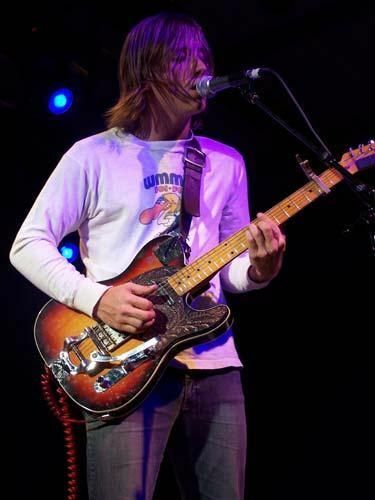 It seems to have been converted to vaguely similar specs to Dan Auerbach's modified Jerry Donahue Tele that he used on old school Black Keys before he had a big weird guitar collection, though I guess his guitar can't lay specific claim to the setup. that model you got there has a modified bridge on it too. 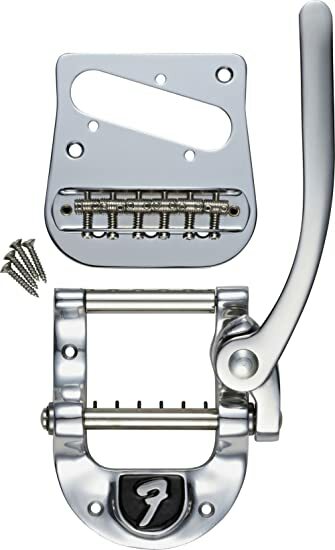 the stock fender tele vibrato came with a jaguar bridge in it. What you got is a pretty rare beast. 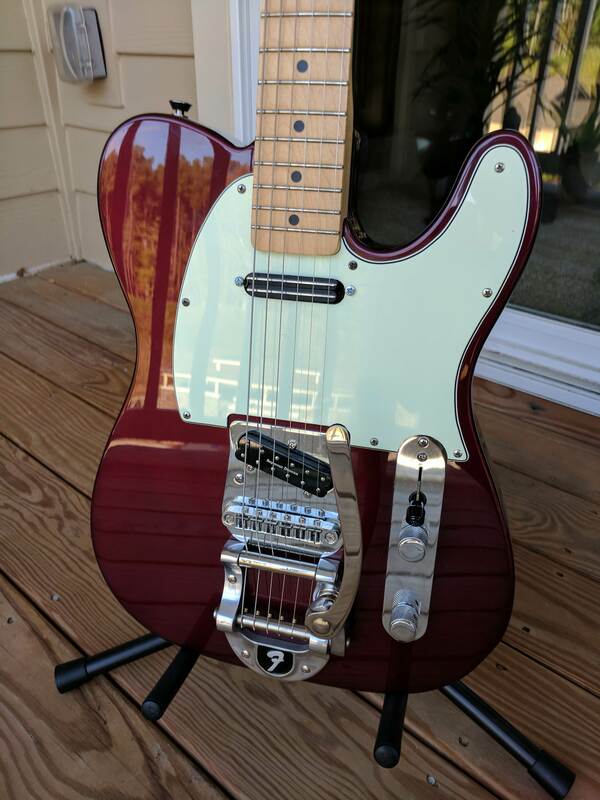 so rare that if i type in FENDER TELECASTER CRIMSON RED METALLIC into google, none come up with a bigsby unit on it. and if i type in FENDER TELECASTER BIGSBY none come up in crimson red metallic. its the first one i have ever seen. Hey Blane! How you doing, man? Long time, no etc.